It’s a tradition that my daughter and I take a weekend off in March and treat ourselves to an outing. 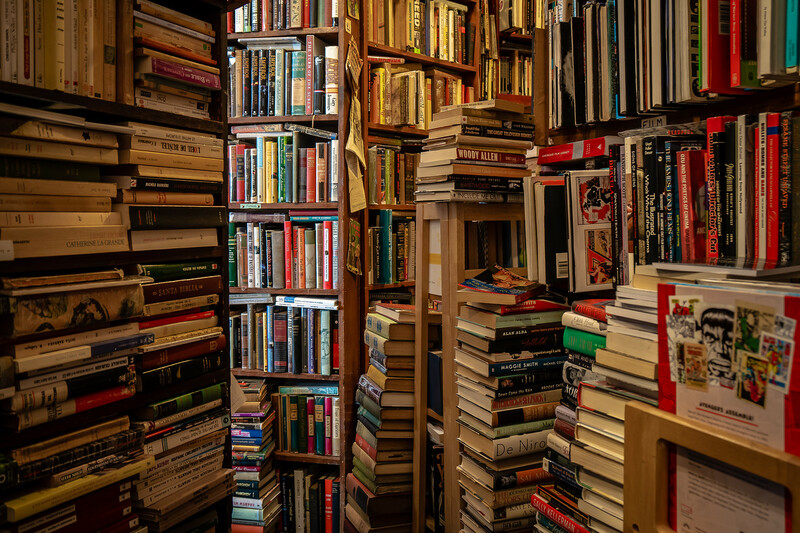 This year we went bookstore-hopping in San Diego. Of course, the dog came, too. Traveling with Jem always adds another dimension to the trip. I booked a dog-friendly hotel. Bring Fido is a good website for dog-related travel information. I also packed a small bag of doggie necessities. My plan was working smoothly until we encountered something I hadn’t anticipated. In the lower left of the above image, you can see a road winding its way up into the hills. At the first curve is a shuttle bus packed with tourists! 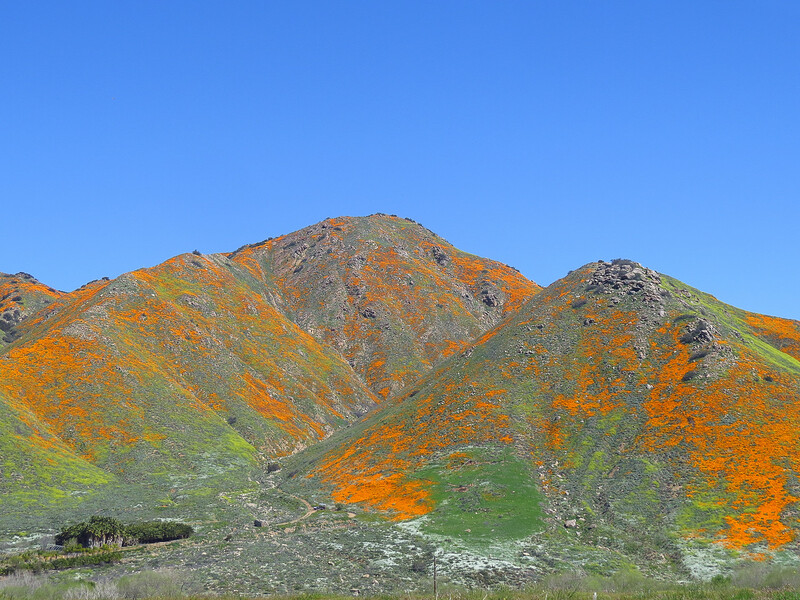 The freeway along these hills came to a stop as drivers gawked at the orange flowers or waited for other cars to exit to join the flower-seekers. It took an hour to inch slowly south of Lake Elsinore. The flowers certainly made the drive longer, and it was well past lunchtime when we arrived on the outskirts of San Diego. 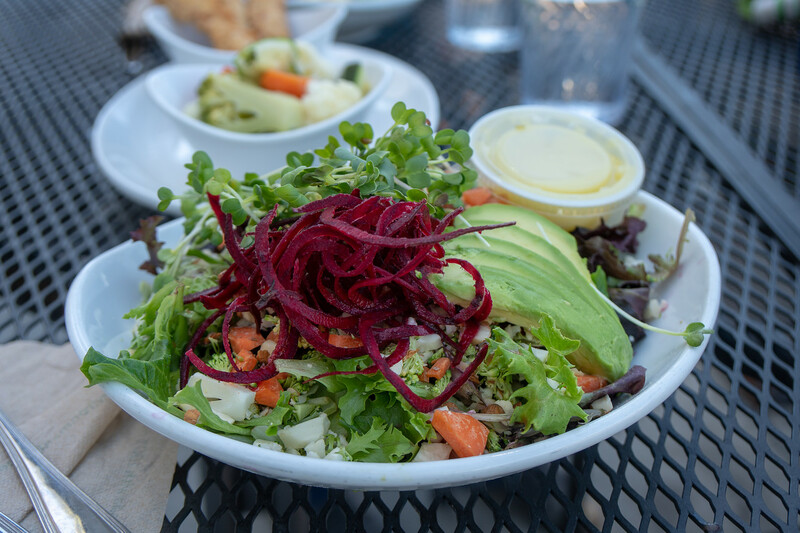 We stopped at Native Foods Cafe for a vegetarian meal. Jem had vegetarian chicken with a few dog-treats on the side. I’m not sure he’s ready to go vegetarian quite yet. Across the street was our first bookstore, Mysterious Galaxy. We spent a lot of time there and came away with a huge bag of books. Jem was willing to stay for the guest speaker, but I didn’t think anyone wanted to share the yummy-looking desserts with him. Traveling with a dog is always an adventure. I chose the dog-friendlyHilton. It had a good location, one with which we were familiar. It was next door to the convention center. Our view wasn’t much; it’s an industrial setting and the dock for the ferry. 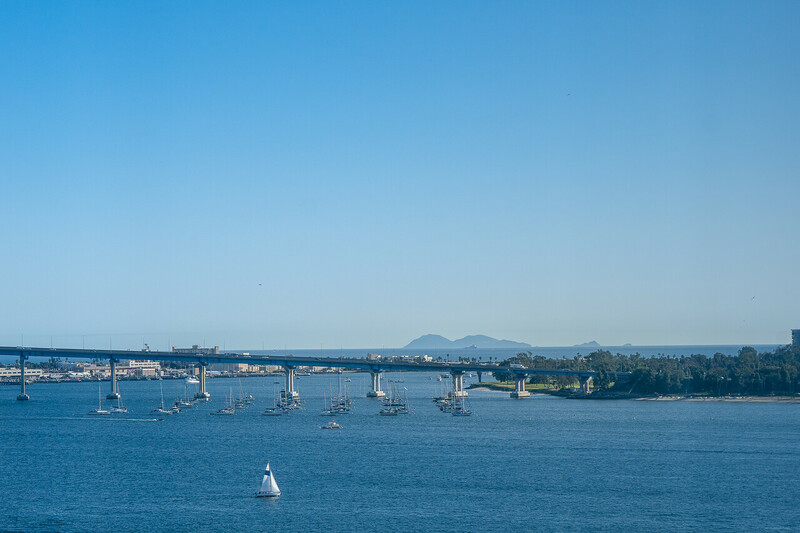 Still, I could see some of the bridge to Coronado. The view from our hotel; Coronado is on the right. Dinner with a dog is also challenging. 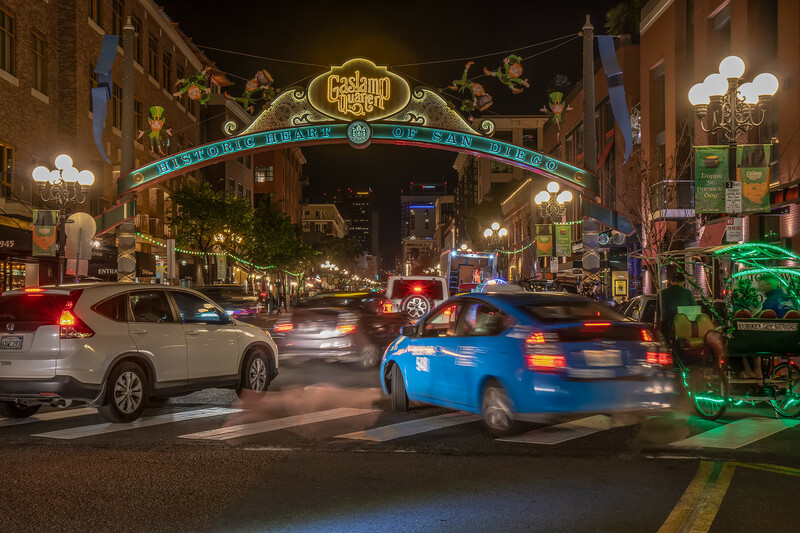 My daughter and I chose the Gaslamp Quarter, which was within walking distance. Jem appreciated the stroll. First, we had to cross Harbor Drive, a wide and busy street. We avoided it by finding this wonderful bridge. You may wonder why we’re going to dinner so early. Doing anything with a dog requires a lot of lead time. 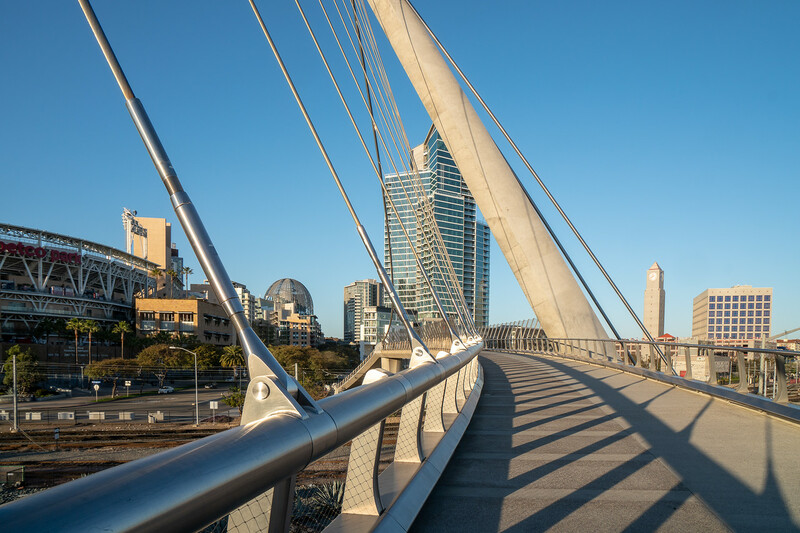 To add to the excitement, San Diego was celebrating St. Patrick’s Day. Oh, good grief! We had a marvelous dinner at the Union Kitchen and Tap, vegetarian, of course. Jem had kibble under the table while we watched the parade of people on the street. By the time we left, it was dark, and the area was very colorful. It looks like all we did was eat during our San Diego weekend. Not so. The next day we found a couple more stores. Here’s a photo to prove it. Diving into the depths at Footnote Books! We chose restaurants that had patio seating, and vegetarian options. These included Native Foods Cafe, Union Kitchen and Tap, and Mary Jane’s Diner in San Diego. In Escondido. we stopped for lunch at Swami’s. To see more images from my San Diego trip, please click here.